I wanted to make salmon for dinner and since we eat salmon a lot, I wanted to try a new recipe. On my way home from work I kept thinking “I wonder if salmon and hazelnuts go together?” When I got home I googled it to find a recipe. I had all the ingredients for this one and decided to give the recipe a go. 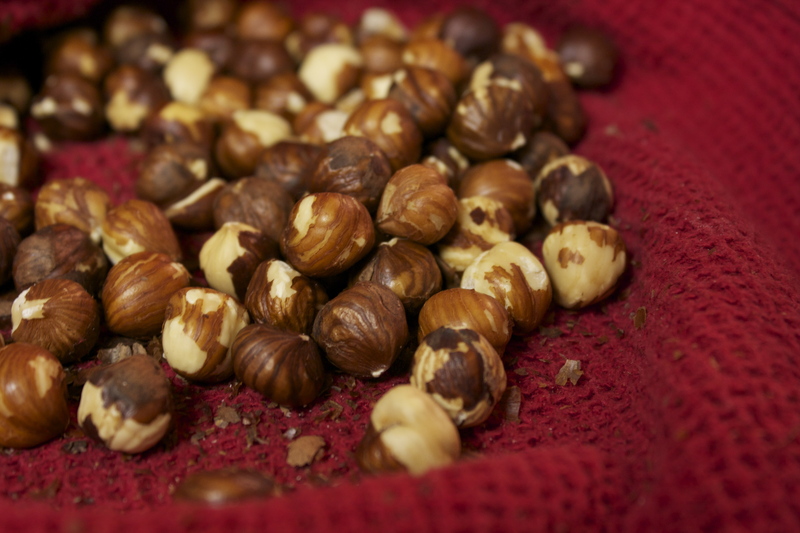 First, I had to figure out how to toast my hazelnuts and figure out how to get the skin off. Who knew the skin was supposed to be removed? Luckily I found this post on how to do just that. I baked the hazelnuts on a tray at 350 degrees for about 12 minutes and then did the very messy work of getting the skin off. The trick the website suggested worked well but yes, it’s very messy. Using long-handled tongs, moisten a paper towel with cooking oil and lightly coat the grill rack. Grill salmon skin side down, covered, over medium heat or broil 4 in. from the heat for 12-14 minutes or until the salmon flakes easily with a fork. 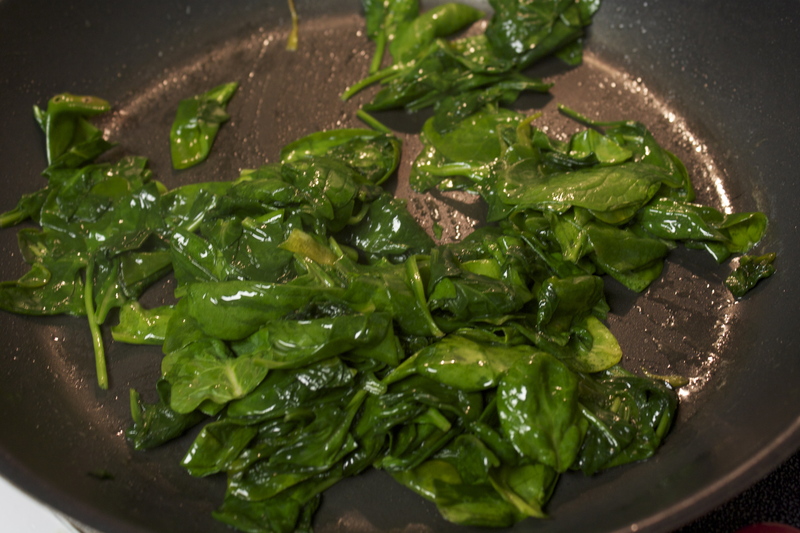 Meanwhile, in a large skillet, saute spinach in 1 tablespoon butter until tender; remove from the pan and keep warm. In the same skillet, saute garlic in remaining butter for 1 minute. Stir in the lemon juice, salt and pepper. Place spinach on serving plates; top with salmon. 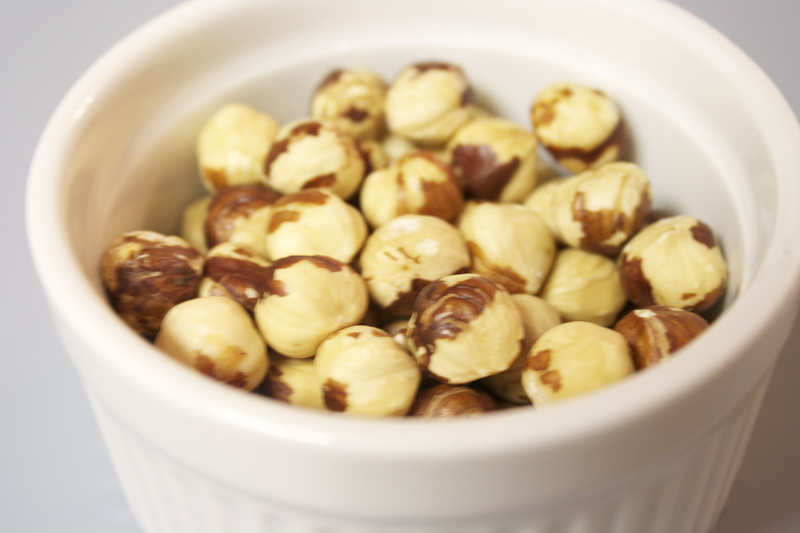 Drizzle with butter mixture and sprinkle with hazelnuts. I didn’t really measure. I just kind of threw everything together in the skillet. Michael cooked the salmon in the skillet and I seasoned it with salt, pepper and onion powder. I worked on the spinach. I’m not a huge fan of cooked spinach but I can eat it in small doses. In fact, I DESPISED cooked spinach for my entire life. I remember being a little kid and my mom would microwave frozen spinach in a covered dish with some butter and made us eat that. I hated it and refused every single time. You can imagine the temper tantrums! YUCK. So I refused to eat spinach for most of my life. Then I met Michael. One morning he made a scrambled egg dish with sauteed spinach, feta cheese and smoked salmon. Lucky for him (or me) our relationship was new enough that I was willing to try it even though I hated spinach. And it surprised me. I actually liked it. Maybe raw baby spinach cooked in butter is much better than the frozen crap? Who knows. Even though I can now enjoy cooked spinach without the urge to wretch, I still don’t want to eat tons of it, which is why I didn’t make much. But if I make this recipe in the future, I will use more spinach. It definitely needed the full amount. When the spinach was cooked down, I set it aside and covered it to keep it warm while I cooked the garlic. 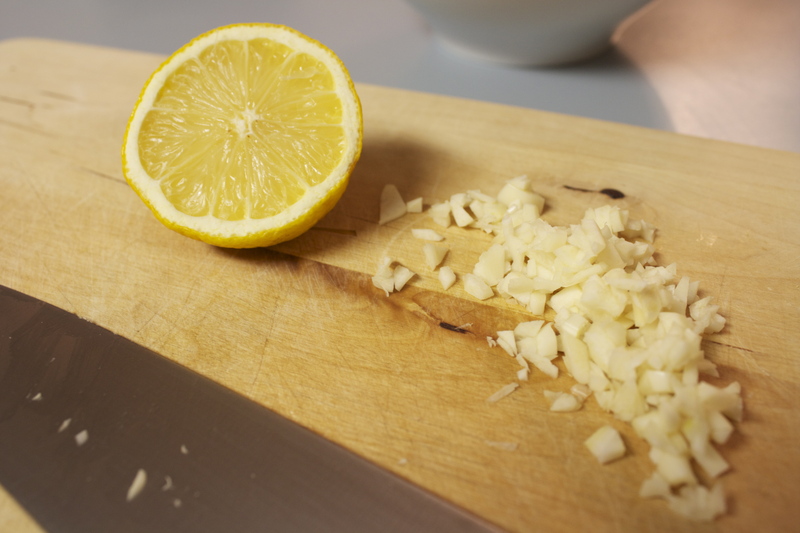 I added the salt and pepper and lemon juice from half a lemon. 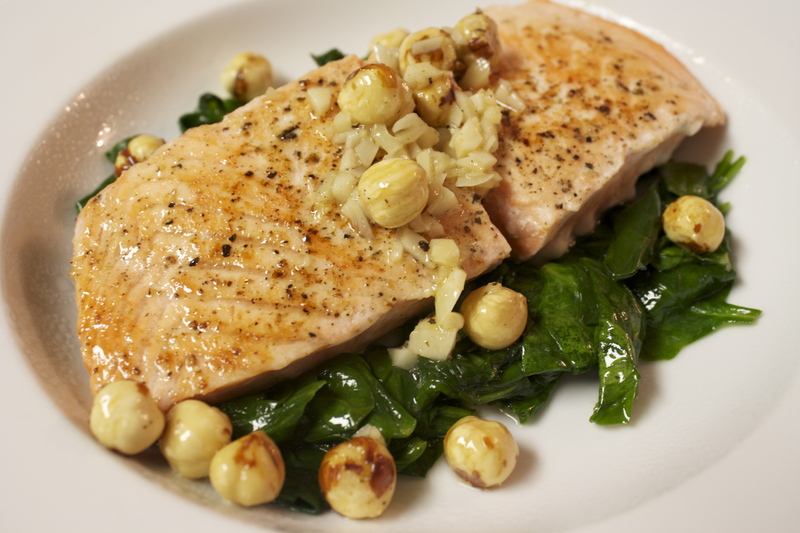 I added the toasted hazelnuts to the skillet just to coat them in the sauce and then poured the mixture over the salmon. I liked the recipe. I thought it was mild and light. It felt like a healthy dinner. I really enjoyed the combinations of flavors. 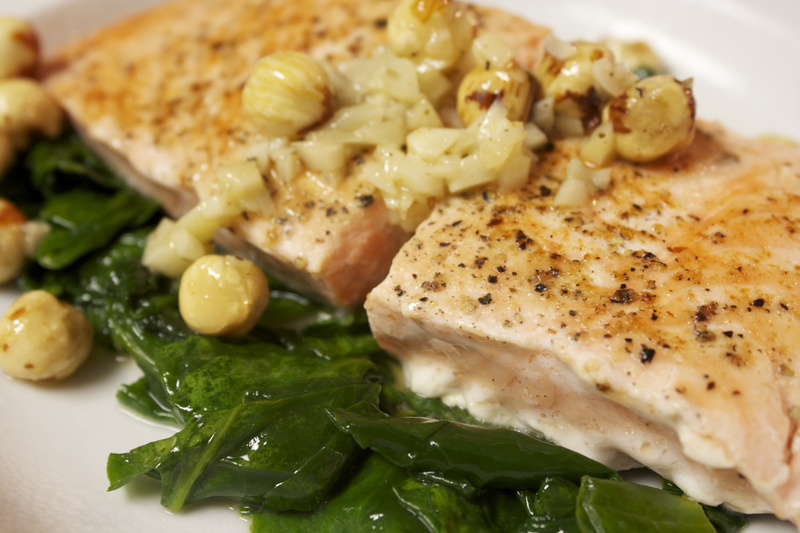 The hazelnuts went really nicely with the salmon and spinach. Michael’s opinion was that it was “okay” and that the hazelnuts didn’t really add much to the recipe. I think we differ on this opinion, but maybe that’s because I’d been craving hazelnuts. QUESTION: Do you have an aversion to food because of your childhood? Can you eat that food as an adult now?